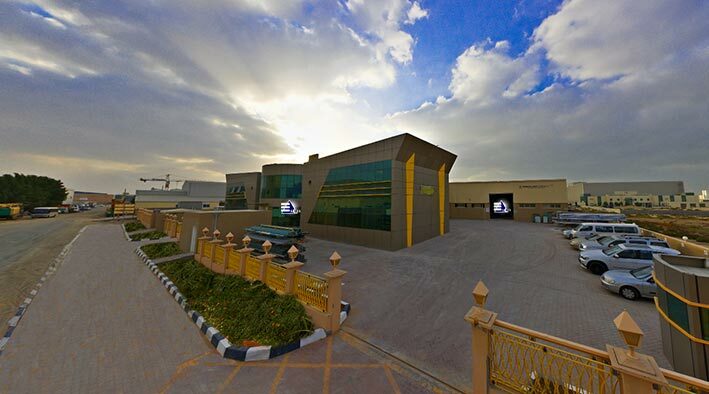 Dubai 360 Virtual Tours | 360 virtual tour at Gulf Extrusions Co. (L.L.C.) from Dubai. Gulf Extrusions Co. (L.L.C.) a member of the Alghurair Group of Companies, is one of the largest extrusion plants in the Gulf with more than 25 years history of top quality production. Located at Jebel Ali, it is close to its raw material supplier, Dubai Aluminium Company Ltd., (DUBAL) and minutes away from one of the busiest sea ports in the Gulf.